Our annual Lady in Red Dance is always well-attended. Tonight we have a hotel ballroom that can accommodate 300. Please help us fill it. 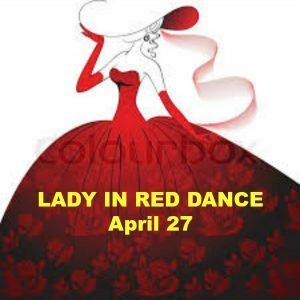 Bay Area bachelors are invited to meet that very special Lady in Red at this fun party! Gifts for the best-dressed ladies in red. $15/advance (by April 26) or $20/door includes dancing to your favorite hits and music videos, with DJ Darryl K. Dressy attire requested. Adults of all ages welcome. Saturday, April 27, 2019, 8pm-Midnight.